SkyTone's Alpha-680 claim first, MSI to follow? It's look increasingly likely that the first netbooks running Android are going to be seen in the wild shortly, with China based Skytone advertising the Alpha-680 on its website, and much talk about MSI showing off a more costly version at Computex. The prospect of laptops powered by the Google backed Android operating system that has been designed primarily for mobile phones, has been around for a year, but the first examples appear close. Skytone are the first to put a netbook powered by Android up for sale, with their $100-$200 device unveiled on its website, as reported by Computerworld. But, more mainstream manufacturers might not be far behind, with MSI rumoured to be among those who will showcase an Android netbook at Computex. MSI's decision was reported in the Chinese language Economic Daily News, but the company has declined to comment on the report. The time is ripe for Android to flourish in the low-cost laptop market, with Microsoft's pared down Windows 7 not scheduled to arrive until either the very end of this year or early 2010. Although Linux is available for nothing for netbook manufacturers, the public appears to be keener on Windows XP devices, which companies have to pay to put on their wares. 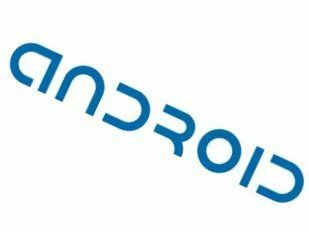 However, Android is not only available for nothing, it also has the advantage of its links with Google, which is one of the partners in the Open Handset Alliance behind the mobile OS.